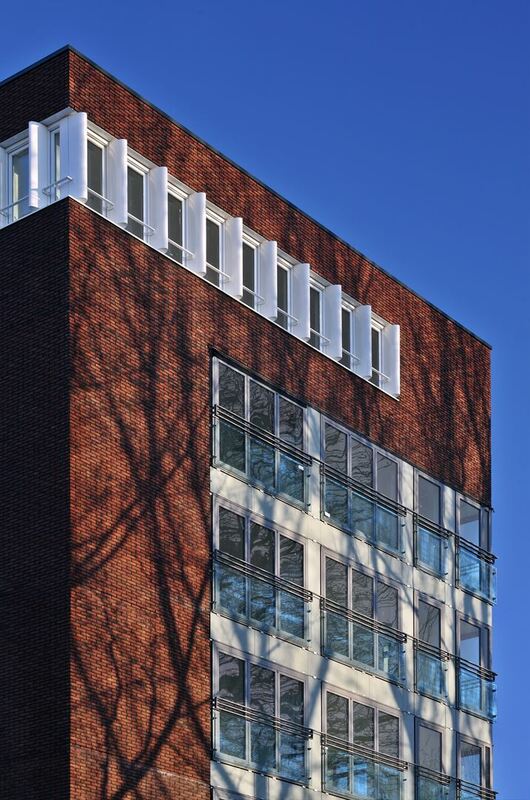 The Buskenblaser complex dovetails seamlessly with the grid of Van Eesteren’s expansion plan from the 1950s. 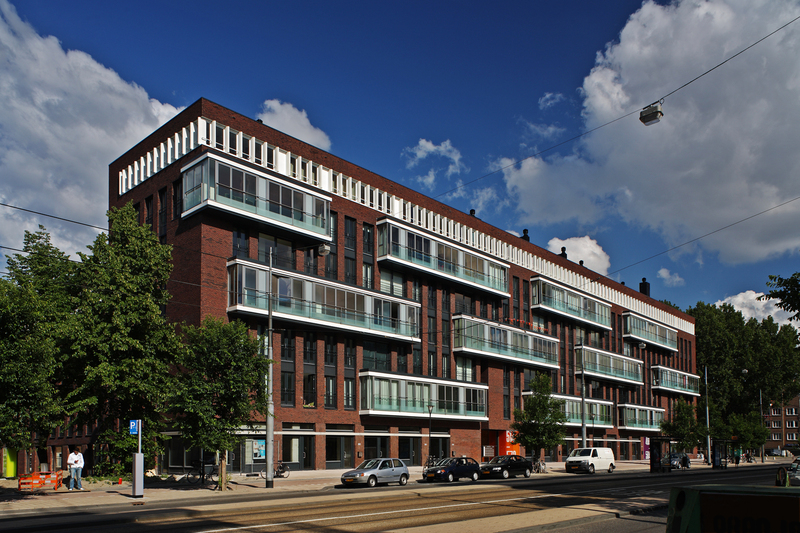 It also blends with the Amsterdam School features of the nearby buildings. 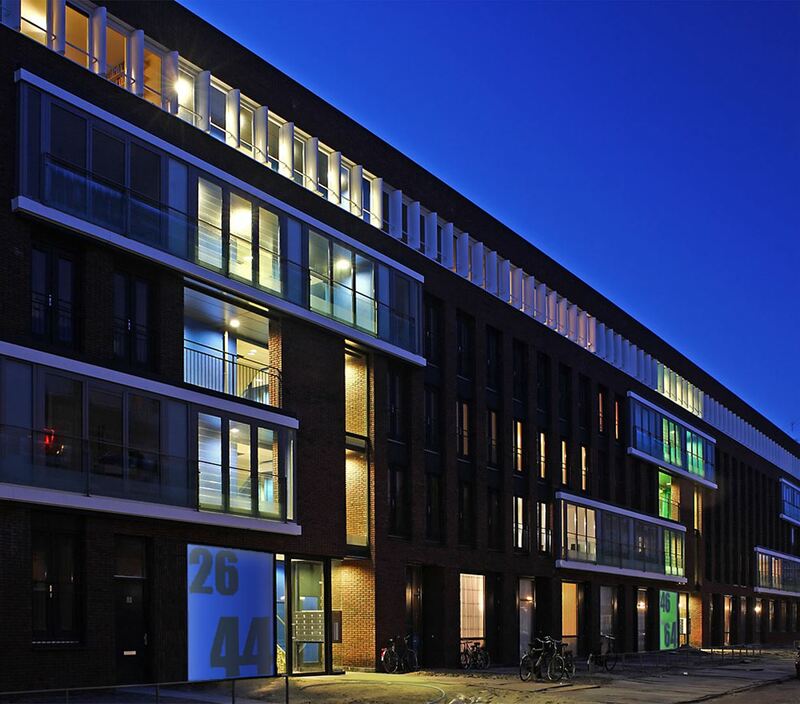 At the same time, elements are added that are in keeping with the dynamic and modern high-rise development of Bos en Lommerplein. Besides the creation of architectural unity in the streetscape, the most important themes in this project are increasing density in the area, solving the parking problem, ensuring diversity in housing stock, and integrating various population groups. 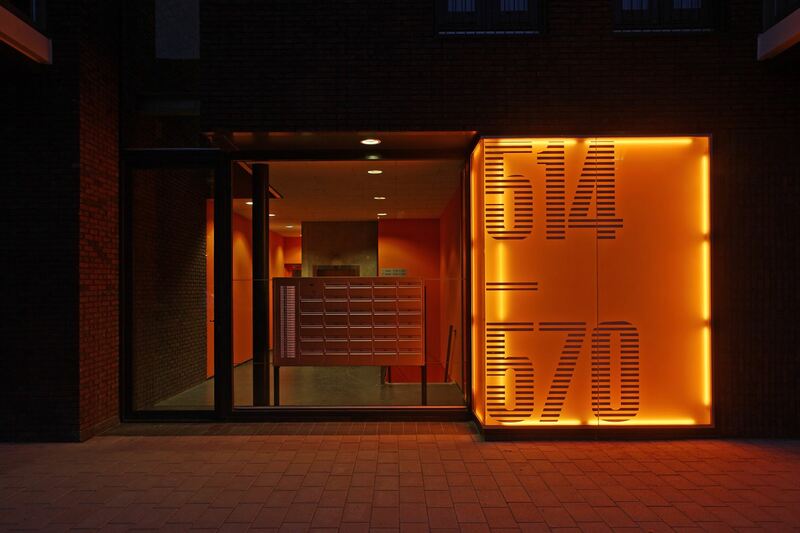 Transformation and historical awareness characterize the architectural appearance. 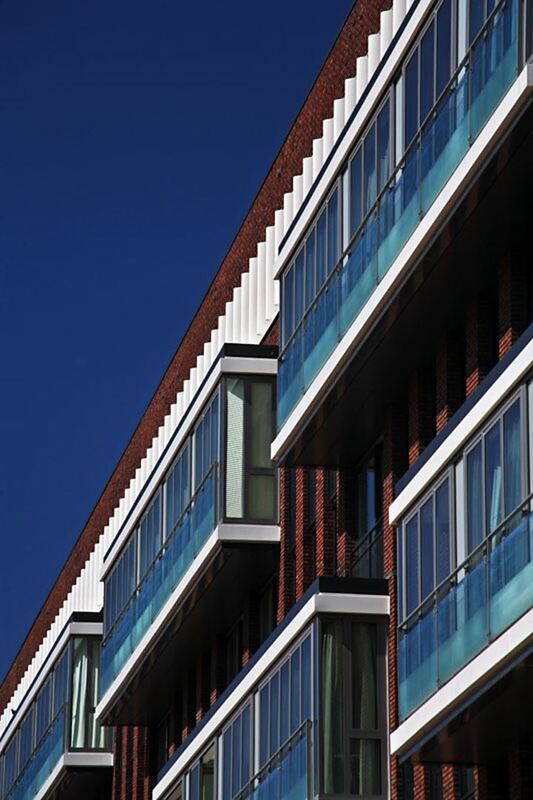 On the east side the block responds, with its subtle façade composition, to the small-scale quality of the adjoining neighbourhood. 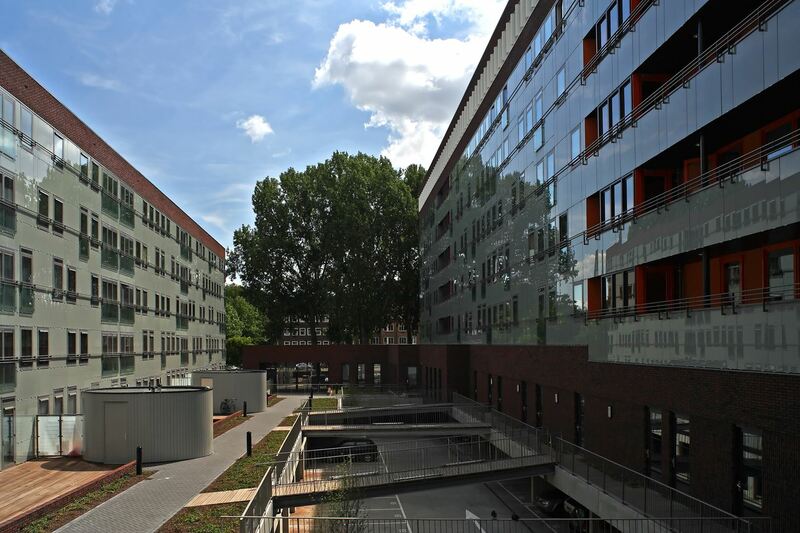 On the west side the new development is more metropolitan in character, in keeping with the scale of the new office buildings, but clearly related to the Amsterdam School blocks. The basic layout of the block is a U-shape around a courtyard on a parking deck. Arranged around the north, south and west sides are a multicultural meeting space and services for small businesses. Some dwellings are accessed directly from the street, while the remainder are on the levels above. 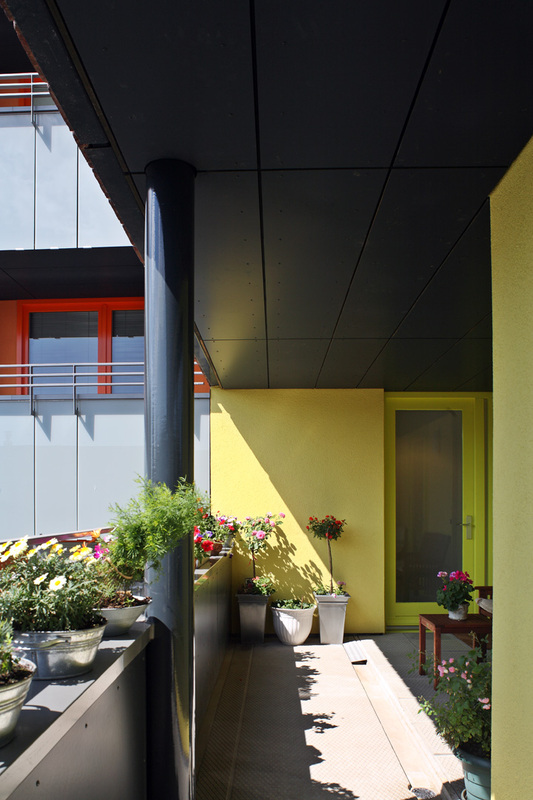 Prominent entrances in striking colours form shared access points. 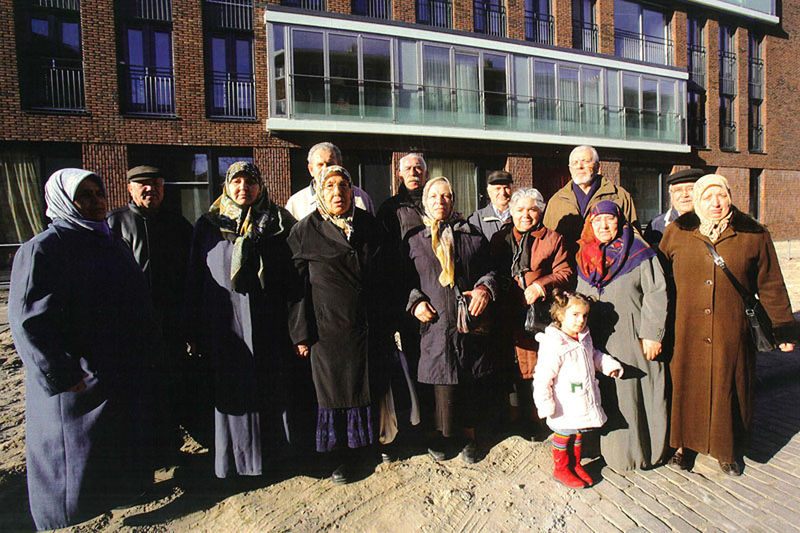 In the block a group for elderly Maroccan and Turkish people is created, with a central meetingspace around a kitchen.